Growing up is not easy. Adolescence is fraught with misunderstandings, loneliness, feelings of exile, and bad haircuts. In an anthology edited by Cecilia Manguerra Brainard, authors explore numerous facets of this time of life. This alone does not make the collection unique; what does, however, is that all the protagonists in these stories are Filipino or Filipino American. What comes through is that being an adolescent is awful, no matter where or who you are, because adolescence is about awakenings: learning things that one did not want to know and rejecting things one thought one did know. The anthology is divided into five sections, each with a theme: family, angst, friendship, love, home. While this imposes a kind of order and structure on the stories, it seems unnecessary. What makes the collection compelling is what Rocio Davis calls in the introduction the "multifariousness of the Filipino experience" (ix), and it is this variety which cannot be contained within the five themes. As one reads the stories, one forgets (as one should) that these stories are examples of the theme. Instead the voice of each protagonist and narrator comes through individually, speaking a new idea each time. For example, two stories from the section titled "Family" begin with first sentences describing grandmothers. Paula Angeles starts her story "Lola Sim's Handkerchief" with this: "When my Lola Sim, my mother's mother, died after my sixteenth birthday, no one wanted to open her armoire"(3); while Veronica Montes begins her story "Lolo's Bride," with this: "After my grandmother died, Lolo Ting spent three months blinking" (13). These stories could have repeated each other like bad echoes, but instead they describe two completely different kinds of grief. Angeles' story describes a girl's regret about the relationship with her grandmother: "my teenage years with my grandmother echoed with the volleys of words in our continuous argument game" (4). In contrast, Montes' story is almost humorous in describing a girl watching her mother's on-going self-delusion about her grandfather's new "maid"--in actuality, a much younger wife. So while these stories may be categorized together because of the common feature of the Lola, or grandmother, they are very different from each other. That difference enables the anthology to escape a dull homogeneity. The anthology's "multifariousness" is heard not only in the voices of the characters but also in the subject of the stories. M. Evelina Galang's "Her Wild American Self" is about a Filipino-American girl in love with her own cousin; Joel Barraquiel Tan writes about a gay man's friendship with his mother, who upon learning her son was gay, responds: "Okay! Good...." (125); Oscar Penaranda in "Day of the Butterfly" writes about migrant workers in the orchards of California. Penaranda's narrator offers an apt description of the experience of reading the anthology itself. As the storyteller, but not the witness to the events of the story, the narrator admits to and describes the challenges of his job. "I had to piece things together, use liberties to fill in gaps, iron out seeming contradictions, and restrain the implausible, to make palatable, to make sense out of the whole fiasco that was the roadside showdown on freeway Interstate 80, about 40 miles northeast of San Francisco where we were all from. And even then it was still open for several interpretations" (89). Here too, the reader of these stories must iron out contradictions. How is it, for instance, that Filipinos can have so many commonalities, and yet be so distinct from each other? Is it plausible that an old man can marry a young woman and pass her off as his maid to his family? Then, how can immigrating for a better life in America turn out to be such a disaster? 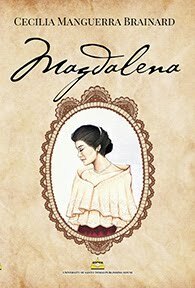 The challenge of reading and writing Filipino literature is what makes this anthology exciting. "A Book Launching in UCLA"
Before returning to Cebu, I enjoyed a three-week break during which I gained eight pounds from a series of Filipino parties. Aside from those, there were more educational activities I attended. One of these was a book-launching at a bookstore that carried Asian and Asian-American books. 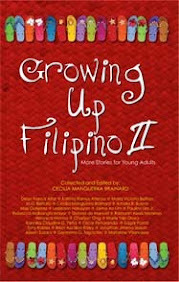 significant adolescent experience in a bildungsroman form of narrative, they are of three sorts: the Filipinos in the Philippines (including well-known names like Jimmy Abad, Krip Yuson, Jing Hidalgo, Tony Tan, and Gilda Fernando), Philippine-born emigres (again including the well-known like Linda Casper, Bert Florentino, Marianne Villanueva, Oscar Penaranda, and Mar Puatu), and Fil-Ams (familiar like Vince Gotera, Evelina Santos, Connie Maraan who's at DLSU; and new ones like Veronica Santos, Edgar Poma, and Brian Roley). 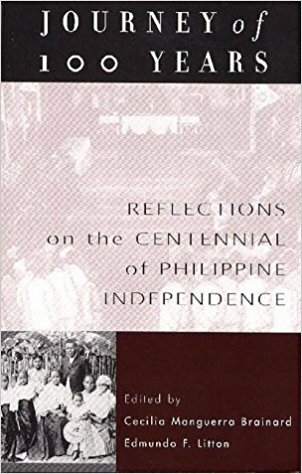 Among the contributors are three Cebuanos: Baby Brainard herself, co-WILA Ruby Enario-Carlino and USC alumnus Alex Dean Bru. Baby and Alex were at the launching, but Ruby couldn't make the trip from Virginia. Despite its title, the book is also for adults. Its five sections on Family, Angst, Friendship, Love and Home carry us through the different ways that a young Filipino (or Filipino-American) negotiates life. 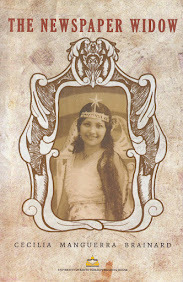 Understandably, many of the stories by the emigres look backward nostalgically, like Paula Angeles' "Lola Sim's Handkerchief" which tells us of a young girl's recollection of going to the market with her lola back home and cooking sinigang for the family (I asked her if they cooked sinigang with carrots like she describes in the story and she said yes, or perhaps she forgot?). Personally, I find the book an enjoyable read not only for the stories with their gamut of emotions accompanying "first" experiences (love and kissing, physical violence, deceit, encounter with the NPA, gay club, seeing agta and santilmo, camp life, tuli, losing a favorite toy, etc.). The brief notes before each story that inform the unfamiliar reader (apparently for an American audience) are gems. Take the note to Paula Angeles' story on "Lively Philippine Markets", which ends: "For safekeeping, old-fashioned Filipinas will tie their money in a handkerchief and pin this small bundle inside their blouses next to their bosoms." But interesting to us would be those notes by the Fil-Ams: For example, Veronica Montes writes, to introduce the story "Lolo's Bride," of the Filipino American family: "At my Lolo and Lola's small home in Daly City, California, certain things could be counted on: an abundance of food (naturally), a visitor or two from the Philippines, the fact that you would be forced against your will to sing in front of everyone, and---best of all---an ongoing undercurrent of drama provided by the strong, sometimes overwhelming personalities of certain women in my family." There's also "Filipinos in America" for Brian Roley's "American Son Epilogue": "Few Americans know that the Philippines used to be a U.S. colony; I was never taught about our common history in high school, though we spent two weeks on British Colonialism in India." As to the Cebuano pieces, Baby's uses the patintero game as metaphor (as in a poem by Cora Almerino's) for the love pursuit. Ruby's is more painful because of treachery on the part of a man who takes advantage of the loneliness of the narrator's Aunt Julia, who is dying. Alex' "The Spirits of Kanlanti" says farewell to the foreigner parish priest, an important personage in a small town in Leyte whose life story has most probably inspired the young narrator's decision to become a priest himself. When it gets here, do grab a copy! ~ Article by Linda Kintanar-Alburo is Director, Cebuano Studies Center of the University of San Carlos, where she teaches literature, folklore and research. She was in the US as Fulbright Senior Research Fellow from February to May 2003. "Growing Up & Writing Pinoy"
A Filipino Authors’ Night was held last Tuesday at Boston College in Massachusetts, featuring a literary reading and discussion to launch the anthology Growing Up Filipino: Stories for Young Adults, edited by Cecile Manguerra Brainard, and published by the Philippine American Literary House (PALH) early this year. 2002 Massachusetts Cultural Council artist grant. Siasoco teaches at Boston College. The exemplary American writer-professor and Filipinist critic Dr. Leonard Casper, who has written so much and so creditably on Philippine literature, was there, too, lending his distinctive presence and acuity. Only a fortnight ago we received a copy of a talk by Linda on how the history of Philippine-American relations, starting with the war some American archivists still try to label as an insurrection, has not seemed to provide material for literature among American writers. And how it has taken Filipino researchers and writers, like herself, to delve into the narrative truths offered by that conflict. wars and revolutions; confronting themselves. Ricco offered to meet the septuagenarian yet eternal neoteny specialist Bert Florentino, who came off a 4.5-hour bus ride from the Big Apple. then digging into the fried spring rolls. 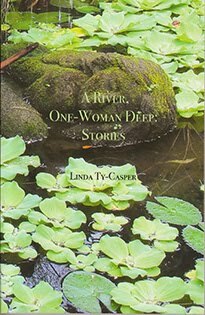 Linda read her story ‘In Place of Trees,’ I heard an audible gasp from the crowd… (S)everal students complimented me afterward on Grace’s riveting voice… I read the first page of Brian’s (Brian Ascalon Roley) epilogue to ‘American Son’ and then the first scene of my own story. Well, indeed it proved so nice and heartwarming for Bert that his intended stay of a few hours in Boston stretched on to 24 hours, inclusive of an overnight caucus at Ricco’s place, until he was seen off by his hosts at the Greyhound station the day after. Last Saturday, clear across the American continent, in Berkeley, California, Growing Up Filipino… was launched at Eastwind Books of Berkeley. Some of the West Coast-based contributors to the landmark anthology made themselves available: Marianne Villanueva, Edgar Poma, Veronica Montes, Oscar Peñaranda and Brian Ascalon Roley. 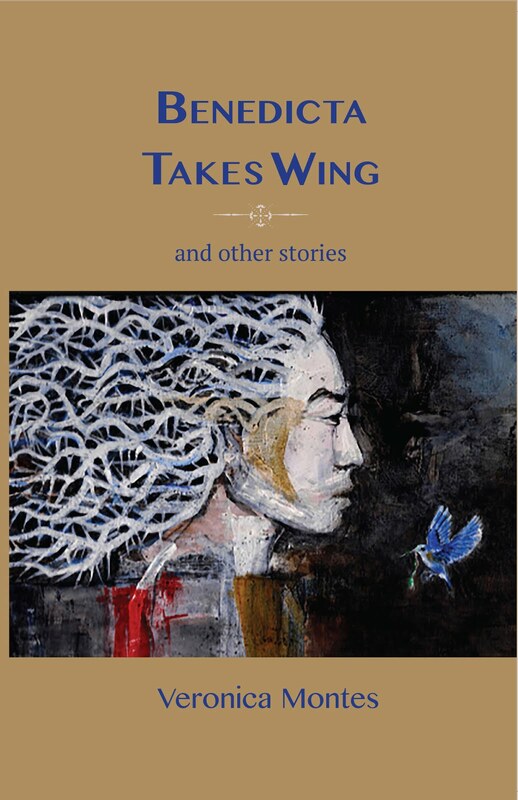 Villanueva recently co-edited the anthology of Filipina writings, Going Home To A Landscape, due out by autumn from Calyx Books. Her first book was Ginseng & Other Tales From Manila. 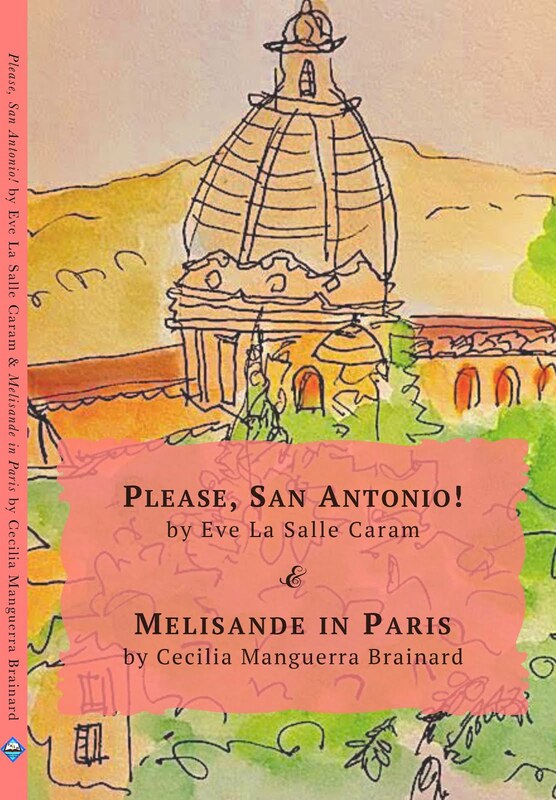 The short stories of San Francisco native Veronica Montes can be found in the anthology Contemporary Fiction by Filipinos in America, also edited by Cecilia Manguerra Brainard (Anvil, 1997), and in the forthcoming anthology co-edited by Villanueva. Edgar Poma is a San Francisco-based writer of fiction, plays and poetry about Filipinos in California and Hawaii. He has received a California Arts Council Grant. Our bosom buddy Oscar Peñaranda has been an educator since 1969, and is one of the founders of Pilipino American Studies at San Francisco State University. He writes poetry, fiction, plays and essays. Brian Ascalon Roley is the author of American Son (W.W. Norton, 2002), a first novel that made it to the New York Times Notable Book of the Year list, and was a finalist in the prestigious 2002 Kiriyama Prize for books dwelling on the Pacific Rim. Again, only a few days ago, we received word that this book won the Association for Asian American Studies 2003 Prose Award. Congrats to Brian! Soon we hope to hear as well on what must have been another joyous get-together in Berkeley among our Fil-Am writer-friends. And this Friday, May 2, at 6 p.m., another reading and signing session to promote the book will be held with the same cast, this time at ARKIPELAGO: The Filipino Bookstore, on Mission Street in San Francisco. 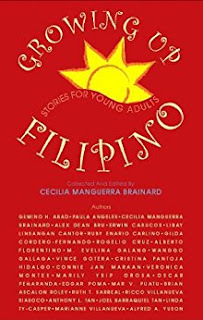 Of the 29 contributors to the anthology, ten are Philippine-based writers, namely Gémino H. Abad, Libay Linsangan Cantor, Gilda Cordero-Fernando, Rogelio Cruz, Wanggo Gallaga, Cristina Pantoja-Hidalgo, Connie Jan Maraan, Marily Ysip Orosa, Anthony L. Tan, and this writer. Thirty-year-old Erwin Cabucos, from North Cotabato, now writes from Sydney, Australia. The rest are in the U.S. Those we haven’t named yet (Editor Brainard also contributes a wonderful story, “The Last Moon-Game of Summer”) are Paula Angeles, Alex Dean Bru, Ruby Enario Carlino, M. Evelina Galang, Vince Gotera, Mar V. Puatu, Ruth T. Sarreal and Joel Barraquiel Tan. Such are the wondrous benefits of Internet collaboration among Fil-Am and “Fil-Fil” writers and editors who find themselves in various cities, including those “back home.” Conceiving, collating, editing, designing and publishing anthologies has become so much easier with the help of cybernetic channels of communication. And it is one other manifestation that there exists no divide at all between us, nor between our materials, themes and concerns. Until copies of the book make their way here on a commercial basis, it may be ordered online at http://www.ewbb.com or by email at books@ewbb.com, by phone at (510) 548-2350 and by fax at (510) 548-3697. "Editor Cecilia Manguerra Brainard has collected a dazzling and impressive array of 29 stories about the saga of what it means to be young and Filipino. The authors make the experiences of ordinary young people come alive for us. "Despite the book's sub-title, this is also a book for adults. They too will profit from what is a truthful, passionate, hopeful -- and ultimately -- a very wise book. "Kudos to Brainard and the other writers for this important contribution to Filipino/Filipino-American history and culture. This is a powerfully achieved and memorable book by authors who know their craft, and who also have a profound understanding and love for the Philippines and things Filipino." We can only concur with Prof. Buckley’s kind words. Congratulations to Cecilia Manguerra Brainard, Susan Montepio, and PALH for this inevitably seminal collection.